Breakfast run to Sacred Coffee (great tasting coffee. The Kiwis sure know their coffee!) and a mini honey & granola Pret yoghurt pot. 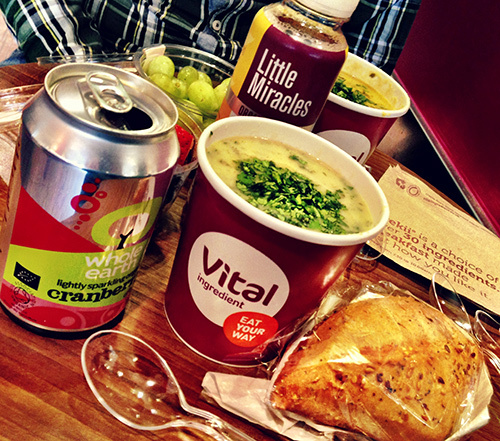 Potato and leek soup with fresh artisan bread roll from Vital Ingredient and a super berry fruit pot, with a Whole Earth Organic Cranberry drink. 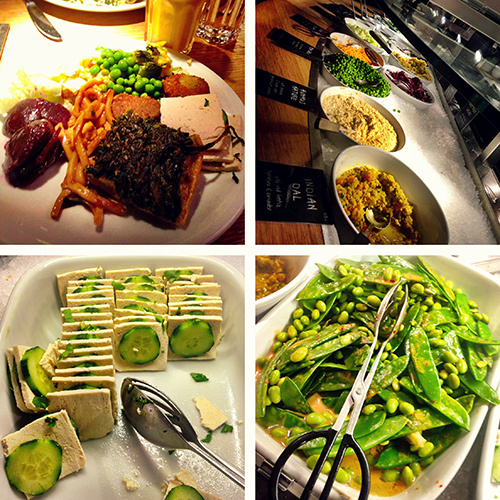 Vegetarian dinner date at award-winning all-veggie restaurant, Tibits in Piccadilly (just off busy Regent’s Street). 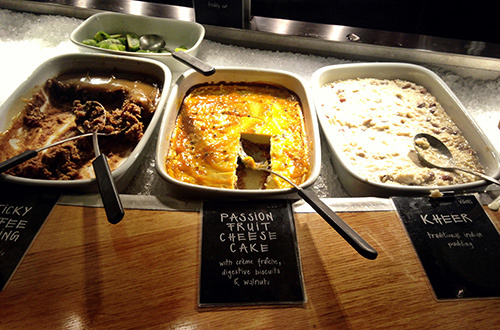 It works a little differently to most restaurants in that you don’t order off a main food menu but help yourself from the ‘food buffet’ area. I filled up my plate with a little bit of everything on the mains (I wanted to try foods I hadn’t eaten before and stuff I saw and liked). 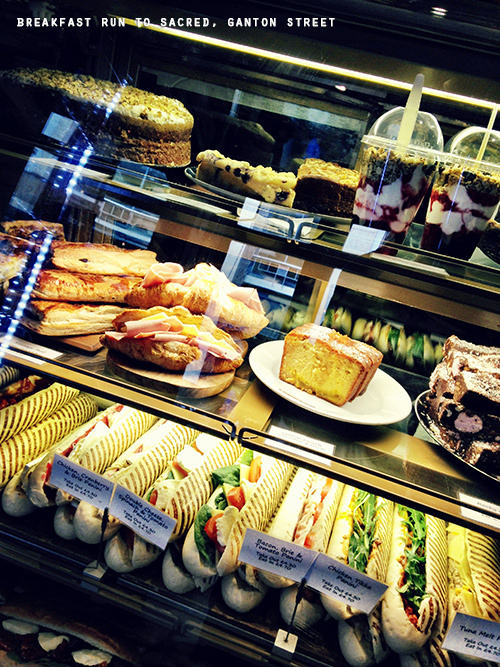 There were hot dishes, salads, hot soups, fresh breads and desserts and then I paid by weight. A lot of the dishes on offer were vegan too, and dietary info were clearly signposted on the dish’s plaques – labeled veggie, vegan, gluten free, etc. I finished my meal with a scoop of their signature Cheesecake, Kheer and Sticky Toffee Pudding for dessert. They were all absolutely fantastic puddings. For a drink the mango lassi is my recommendation, it’s heavenly moreish and very mango-licious! Chocolate cinnamon roll with coffee.